The Providence Point area of Issaquah is located on the southeast bank of Lake Sammamish, just a few miles north of I-90. Many of the condos, townhouses and single family homes for sale in Providence Point were built in the 1980-90's and vary in size and price. Nearby Lake Sammamish State Park features a beach near Jensens Cove, boat rentals, salmon fishing, hiking, and mountain biking. 2 Beds | 1.75 Baths | 1350 sq. Ft.
2 Beds | 1.75 Baths | 1075 sq. Ft.
2 Beds | 1.75 Baths | 1288 sq. Ft.
2 Beds | 1.75 Baths | 1394 sq. Ft.
2 Beds | 1.75 Baths | 1475 sq. Ft.
3 Beds | 2.25 Baths | 1741 sq. Ft.
2 Beds | 1.75 Baths | 1481 sq. Ft.
2 Beds | 1.75 Baths | 1250 sq. Ft.
2 Beds | 1.75 Baths | 1418 sq. Ft.
Blue Summit Realty has the most accurate and up to date Providence Point real estate listings on the web. Currently there are 13 condos for sale, in Providence Point. Of the 13 total Providence Point residential listings for sale 0 are bank owned, 0 are short sales, 0 are new construction, and 0 are townhomes. The price ranges from $249,999 to $0 with a median list price of $384,531 and median sold price of $429,735. 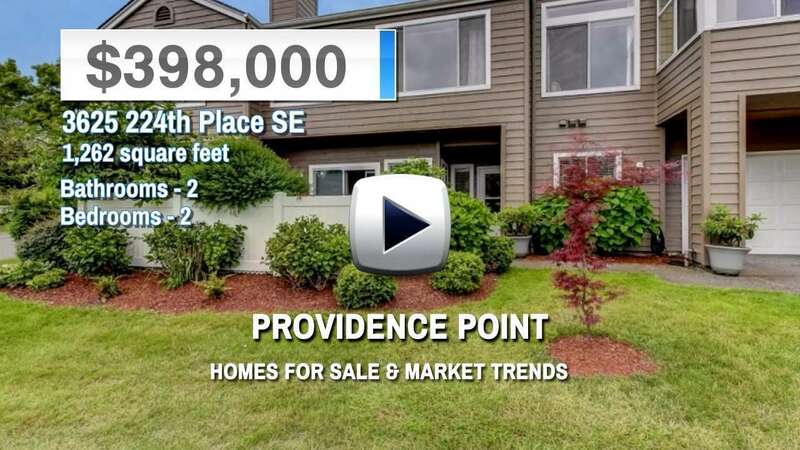 Make sure to refine your Providence Point real estate search by property type, price, square footage, bedrooms, bathrooms and more with the search tool above or view the Providence Point listings on our interactive map. Our Providence Point real estate listings were updated 6 minutes ago.